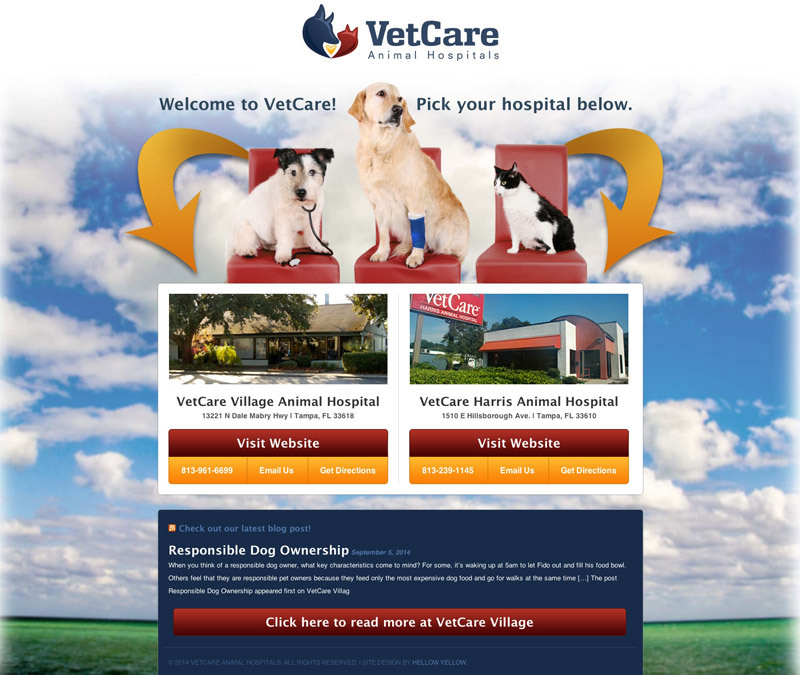 VetCare Animal Hospitals contacted us in need of a new logo and website that displays their 2 hospitals, VetCare Village and VetCare Harris more clearly. We took a confused site and turned it into 2 sub sites with one portal so their current and potential clients can choose the hospital closest to them. Some of the key features are social media integration, photo galleries that tour each hospital and Hellow Yellow’s own SmartyVet blog feed. SmartyVet is a news aggregator that keeps their blog updated, helping SEO.